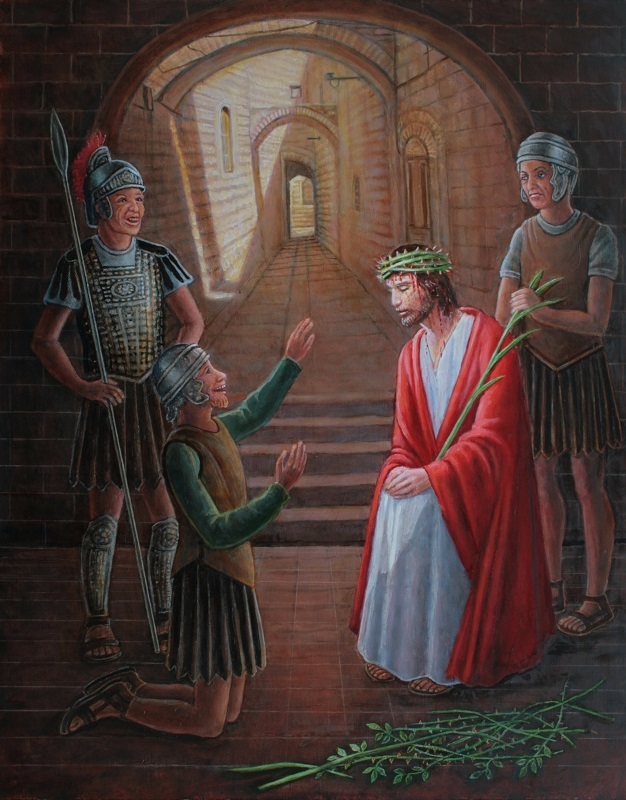 Here Christ is being mocked by the soldiers. They have made a crown of thorns and placed a reed in his hands for a sceptre, and are laughing at him for saying he is a king. His head is bowed in silence and patient acceptance. He is a model for all of us when we are faced with ridicule and contempt.